 Meaningful use: The government's billion dollar gift to radiologists - ONRAD, Inc.
DiagnosticImaging.com | October 13 – “Meaningful use” is on everyone’s mind and sure to be a predominant topic for years to come. Despite its significance, many healthcare professionals and technology providers are still unclear as to who is eligible for the federal government’s incentive programs and what needs to be done to certify technology and achieve meaningful use. Did you know that more than 84% of all physicians and 90% of all radiologists are considered eligible professionals and qualify for meaningful use incentives? With $44,000 per radiologist up for grabs, more than $1 billion could be available for the diagnostic imaging community. That’s the carrot. Of equal importance is the potential penalty impact if eligible radiology professionals do not comply with meaningful use criteria by 2015. Hundreds of millions of dollars will be at risk every year, and that could easily reach billions as private payers begin to adopt guidelines that mirror federal policy. And that’s the stick. This article will take a look at the progress of healthcare reform, eligibility and certification requirements, Stage 1 meaningful use objectives as they relate to the field of medical imaging, new technologies that will assist with meaningful use compliance, getting ready for radiology meaningful use, and what to expect in the years ahead.